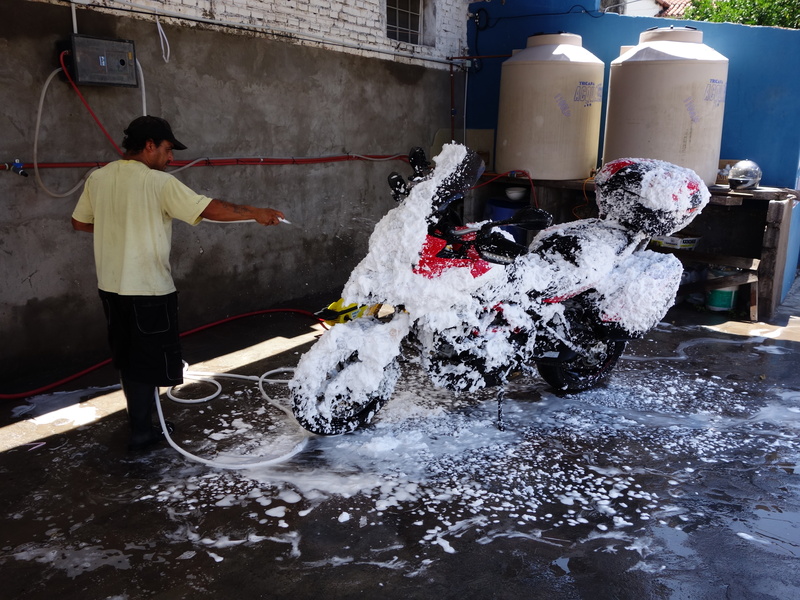 Had breakfast in Hotel Salta in good time to leave for a day trip and return – but when I went out and saw the state of the bike, I changed the plan! I took it to a “lavadero” where it was given a hot bath and a full massage and it looks much better now. So we had a sunny cruise in sunglasses, tee shirt and jeans around Salta instead. While the bike was in the Spa, I got the maps out and set my mind to planning the next few days. The first realization was that in order to proceed with the original skeleton plan (basically continue to Bolivia), I would have to ride past and ignore some of the most dramatic scenery northern Argentina has to offer … seems like faulty logic there. Secondly, Bolivia is a bit too risky on a solo voyage – if the bike quits 300 Kms from anywhere in Bolivia, I’m really in hot water. So much as it pains me, discretion is the better part of valor …. I’m going to use Salta as a base for a few days and take in all that Northern Argentina has to offer …. Giving me the added advantage of being able to travel light. So, today I will do a bit of protective maintenance (counter-butterfly measures) on the bike. 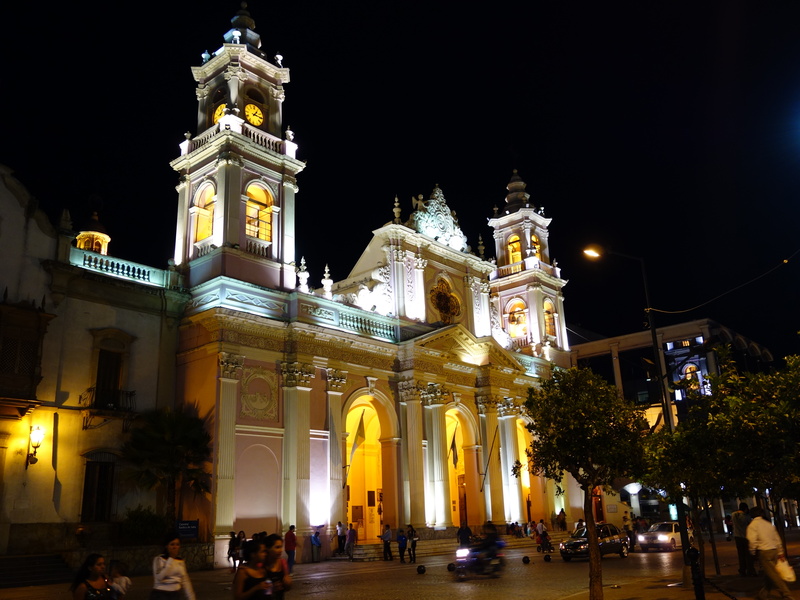 Tonight, I’ll enjoy the craic in Salta centro and tomorrow, I’ll go north to Purmamarca and Humahuaca to see “Cerro de los siete colores “ and the various other buen vistas available. Further report to follow …. I did try uploading a few photos today – but I don’t think I have enough internet speed for that … we’ll see.